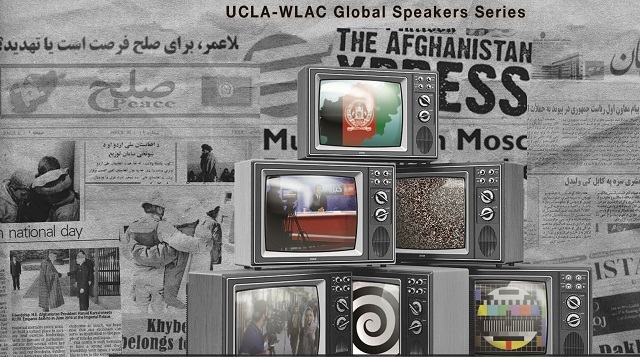 Part of the WLAC-UCLA Global Speaker Series on Global Popular Culture. From traditional medicine to music and mass media, the spring 2017 Global Speaker series brings UCLA experts to West LA College to share their research on global popular culture in Latin America, Asia, and the Middle East. Popular culture is a window on the practices and expressions of ordinary people in local societies around the world. At the same time, societies are connected internationally through communication, trade, and the movement of people, and through these connections, local cultures spread and transform in a global context. Journalist and cultural critic Nushin Arbabzadah will discuss the influence of Afghan television on social norms, religion, and democracy. Raised in Afghanistan and educated in Europe, Arbabzadah worked for the BBC before moving to Los Angeles, where she teaches courses on Middle Eastern media at UCLA.